From Adobe: "Today, law enforcement entities — from command staff to investigators — are facing a new set of technology based challenges. Criminals are using cutting-edge modern technologies to commit crimes, while the technologies and applications for crime investigation are still lagging behind. Shrinking budgets and out-of-date-processes also compound these challenges, taking valuable field time from your officers and other employees. To meet these challenges, law enforcement agencies need to leverage existing tools, keep up to date with modern day technology and use external resources to help them think outside the box to ensure public safety and justice. Join Adobe for a complimentary seminar dedicated to Adobe’s Law Enforcement Solutions, designed to help your agency meet the unique challenges you face today." I'll be floating around the LA event (9-22-10). Who knows, I may even jump up and help out during the Digital Imaging segment. From the NYTimes blog: "It might not be pretty on the eyes, or easy to carry around on a vacation, but what do you expect? It was the first digital camera Kodak ever made. Yes, that’s right, the contraption pictured above was put together in Kodak’s Elmgrove Plant labs near Rochester, N.Y., during the winter of 1975. 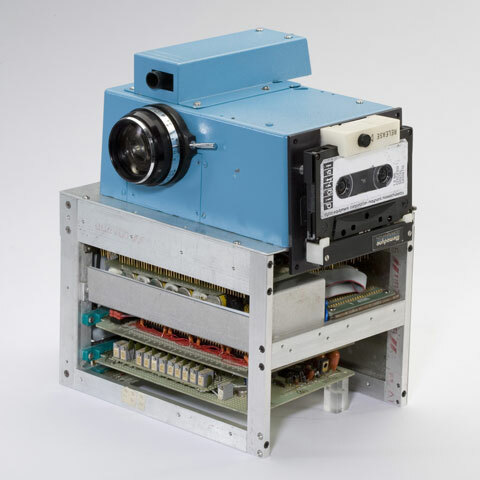 A post on Kodak’s Web site from 2007, written by Steve Sasson, the inventor of the digital camera, explains exactly how this camera was created, from a mishmash of lenses and computer parts and an old Super 8 movie camera. One of my favorite factoids about this snazzy digital camera is the fact that it took 23 seconds to record a single digital image to its cassette deck. To view the filmless photo, Mr. Sasson had to remove the cassette from the camera and place it in a customized reader that could display the image on an old black and white television." 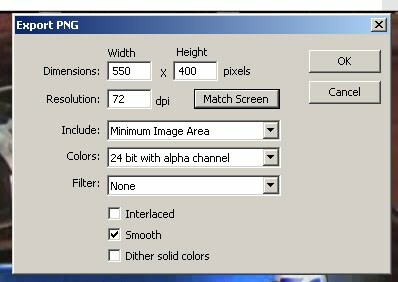 Click on Match Screen to match the output dimensions to the actual file's dimensions. 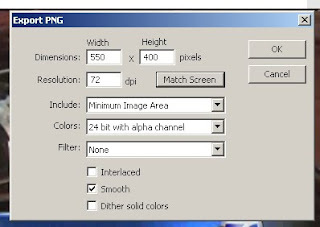 When you click OK, Flash begins to output still images. We're looking at adding some east coast dates to the schedule for the rest of the year. So far, the Virginia / West Virginia area is firming up. If you're interested in being added to the interest list, click here. From the Richmond Times Dispatch on-line: "Conclusions from forensics evidence that helped convict Wyatt Ward Hollar of murder two years ago were rejected this year after supervisors in the state Department of Forensic Science reviewed them. That revelation came during testimony yesterday, on the third day of a retrial of Hollar's October 2008 murder conviction in the death of his girlfriend. The forensics supervisors testified that the prior tests had been incomplete, did not follow procedure, missed the presence of telltale gunpowder particles and used inappropriate fabric in an attempt to judge how far from the victim's body a fatal gunshot might have been fired. That evidence is key in determining whether Danielle Wilson committed suicide or whether Hollar fatally shot her. Wilson died in Hollar's Glenside Drive apartment from a single bullet wound to the chest Feb. 11, 2007. The two had been dating seriously for just a matter of weeks; the fatal gunshot followed a night of arguing and alcohol. The reversal for prosecutors came yesterday from top-ranking forensics department witnesses called by the defense. The witnesses testified that conclusions and results stemming from forensic tests conducted on the .45 caliber weapon found near Wilson's body and on a lacy, black tube-top garment she wore the night of her death could not be duplicated. And the jury heard that the expert who conducted the earlier tests, Scott Glass, has been let go by the bureau for a failure to follow procedures in cases other than Hollar's ..."
The Orleans hotel was quite the venue. With a stop at the cafe for a quick bite, it was off to the morning sessions. I started the morning off with a Colour Correction Techniques in Photoshop workshop. Simultaneous to my workshop were lectures on Compression, unconventional forensic video/imaging techniques, super resolution, an intro to cell phone forensics, and an overview of digital media types. In the afternoon, I stopped in to see the NAS Report and You before getting set up to speak on authentication of digital CCTV (a case study). After a round of questions and good-byes, it was on the road and back to the mountains. The organisers of DSI really set the bar high for next year. There were a ton of quality lectures and workshops to choose from. Add to that the quality networking and you'll surely see me there next year. The exhibit hall opened early along with the registration area. The morning session was packed with information. I sat in on the Flash Retriever Workshop presented by InfinaDyne. 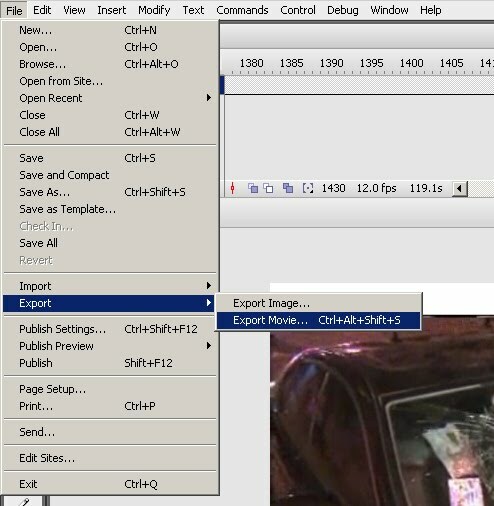 Flash Retriever Forensic Edition is a simple but powerful tool used to examine all types of flash or solid state media. Some of the other sessions from the morning included lectures on building a digital lab and presentation skills for high-tech workers. The afternoon workshops included working with InfinaDyne's CD/DVD Inspector and Micro Systemation's Mobile Device Investigations workshop. The afternoon lectures included an overview of the much improved Ikena 2.0 from MotionDSP, a look at Cognitec's products, IP video trends and their implications for forensics, and much more. In all, it was a very busy and productive day. Today was registration day, so folks filtered in throughout the day. Some of today's highlights from DSI-Vegas included a tour of the security infrastructure of Mandalay Bay, Palms, and Caesar's Palace casinos as well as the dinner keynote from Deputy Director Toney Armstrong of the Memphis Police Department. Director Armstrong's talk on the MPD's real time crime center was quite informative. We're off to DSI-Vegas. I hope to see you there. I appreciate you taking the time to read this as I am responding to your blog post regarding forensic techniques and an eSeminar I did for law enforcement. Just a little history about me, I have been working at Adobe for over 13 years and I have been using Photoshop since 2.0 and helping law enforcement for many years. The work that I have done with law enforcement, including helping to rescue exploited children, is what I am most proud of. It is the most serious work I do and with it comes the responsibility to make sure the officers I train have all the tools they need and that they stay within the boundaries of the law. I distinctly remember the eSeminar that your reader mentioned and I received numerous positive emails and comments on how effective the training was. I really wish the reader had asked me upfront during the Q&A period if they needed something clarified as others did. My seminars are never meant as a monologue and if you ask my customers, colleagues and friends, they will tell you how effective they are. I still believe that there are two distinct workflows, one for investigation and another for court presentation. These workflows came about from talking to law enforcement directly and their feedback that if a method or technique did not help their case, then it was not presented nor was it given to the defense. And actually, isn't this the way that all investigation works; if a witness testimony isn't helpful, then that witness will not be called to testify? When I tell my students to "push the envelope" or "get creative" (which I most certainly do) I am trying to get them to understand that they should not feel intimidated by the tools in any software package. Computer software isn't like a fingerprint that can easily be destroyed; the software, computer, and copied evidence files can all be replaced with 100% fidelity. This is one of the most difficult things for new users to understand as many are afraid to "push the wrong button". When they employ a confident mindset into the workflow, they will inevitably discover new things in Photoshop on their own. I consider my background as a professional retoucher in the world of advertising to be an advantage to my forensic techniques as I can draw on inventive ways to achieve results. I know you're probably bristling at the term "inventive" but you cannot discount the fact that what you are doing in Photoshop is inventing methods to uncover evidence in an image. There is nothing different between that and inventing ways to use black-lights, lasers or heated cyanoacrylate to uncover physical evidence. I consider all of these techniques, and much of what Thomas Edison did, as being "creative". BUT, I never encourage any of these terms to be used in court. That's why I think there are two separate workflows. The bottom line is, if I work in Photoshop as if the jury is looking over my shoulder, then I would never attempt to try anything that I wasn't 100% sure would be a success, but in doing so, I could be missing a new and effective method of revealing evidence that would help convict a guilty party. It should be obvious from this list of what I presented that your statement saying, "Why Smith would advise law enforcement users to use a workflow that is not repeatable at any step of the process is beyond me", is inaccurate. My seminars insist that techniques and methods MUST be repeatable or they are not going to hold up in court. And at no point do I ever encourage anyone to manufacture evidence in any way shape or form. And lastly on "expediency": the point I was making is in some cases, like child exploitation, locating and rescuing a victim is extremely important and the longer it takes, the more danger and suffering that victim will be subject to. But again, I never advocate taking shortcuts to circumvent the law. All methods and techniques must be documented and reproducible. I hope this helps to clear up any misconceptions you may have on the way that Adobe communicates with law enforcement. It is our goal to provide the best forensic tools to help law enforcement fight crime. My thanks to Colin for clarifying the issue, including his statement, "All methods and techniques must be documented and reproducible." From ZDNet UK: "NEWS The private browsing features in Internet Explorer, Firefox, Chrome and Safari are not as protective as they promise to be, according to new research. Privacy modes are designed to protect a browser user from having their online activity tracked by websites or by other people who use the browser on the same computer. However, the way the features are set up means that traces of data can still be found even when the tools are used, according to researchers from Stanford and Carnegie Mellon universities. The team developed methods to test browser privacy and gave details as to how they pieced together browsing histories. They focused on people with access to the PC after the browsing session, calling these people 'local attackers' in a paper that is due to be presented at the Usenix security conference (PDF) on Wednesday ..."
I know that most who work in a shared computing environment think that checking the Private Browsing button will protect them. Here's to thinking again. From Evidence Magazine: "Prevailing opinion suggests that RAW files were tailor-made for forensics and law enforcement. 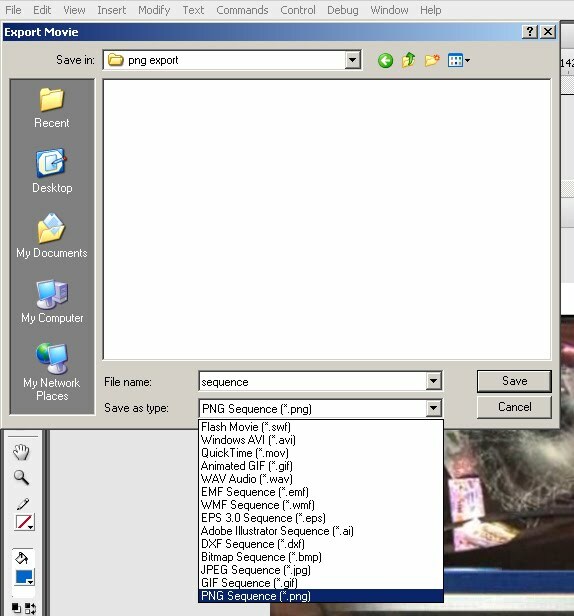 However, this issue should be examined closely in order to fully understand RAW files and to prevent a forensic-imaging system from becoming bogged down due to the time and man-hours necessary to process RAW files. After taking a closer look, one may find the comprehensive value of RAW for forensics is somewhat overestimated. Crime-scene photographers and forensic-laboratory analysts use some form of RAW files during the course of their duties. It would be naïve for forensic photographers to shoot in RAW and not have the proper scientific support. Forensic photographers should not succumb to pressure to shoot everything in RAW ..."
There are a few documents on the Facial Imaging Scientific Working Group (FISWG) web site that are open for comment. The window will close soon, so make sure that you get your comments in. From SF Weekly: "... The trial of Charles Heard was, in other words, what criminal lawyers call an "identity case." The defendant's guilt or innocence rested on jurors' willingness to believe various statements about what the killer of Richard Barrett looked like. It was into this setting that there walked a beguiling, self-described expert who claimed he could settle the question using a little-known branch of science. From the get-go, Ben Bavarian made no secret of his eagerness to participate in a San Francisco criminal proceeding that, outside of its potential ripeness for his profession's techniques, had absolutely nothing to do with him ..."
"... Safire had enlisted Bavarian to analyze business surveillance videos of two young black men fleeing the site of Barrett's murder. The prosecution and defense agreed that one of these unidentified men was the shooter. They wore clothes matching those described by witnesses, and one can be seen in the footage holding an object that resembles a handgun. Swart chose not to use the videos for identification purposes, asserting that they were too blurry. Yet they were a mainstay of Safire's case. Relying on Bavarian's techniques, the defense lawyer hoped to demonstrate that neither of the men captured on tape was Charles Heard. The prosecution, for its part, argued forcefully against Bavarian being allowed any-where near a jury. "At this point, it cannot be established that biometrics has been generally accepted in the relevant scientific community," Swart said in a motion. "Just as importantly, there are no prior published Court of Appeal opinions in California that establish the general scientific acceptance of this science." Swart's characterization of facial-identification technology is accurate, according to Faigman: "My experience suggests that it's not generally accepted in the mainstream scientific community," he said. ..."
"... After some interrogation on the technical aspects of Bavarian's methods, Swart asked him whether his analysis of Heard's photo and that from the surveillance camera had been peer-reviewed by other scientists. "Did anybody do a technical review of your work?" "My colleagues and my friends." "Your Honor, I think this is misleading," he said somberly. "I really do." If it seems odd that a relatively untested science, explained by a relatively unknown scientist, should be considered as evidence by a panel of men and women deciding whether to send a young man to prison for the rest of his life — well, it is. State and federal courts ostensibly have rigorous tests for establishing the admissibility of scientific evidence. The goal, as a California appellate judge wrote in 1998, is to avoid bestowing "a misleading aura of certainty or a posture of mystic infallibility" on quackery ..."
"... Perhaps the most damning review of Bavarian's work came from the expert witness Swart put on the stand to debunk his analysis. Richard Vorder Bruegge is a forensic scientist and photographic technologist employed by the FBI. He has a Ph.D. in geological sciences from Brown University, a full head of silver hair, and youthful good looks, presenting a stark contrast to Bavarian's vaguely reptilian allure. The authoritativeness of Vorder Bruegge's résumé was almost comical. He worked with NASA on the Clementine mission, which carried out the first image mapping of the moon in 1994; he is the chairman of the Facial Identification Scientific Working Group — the same group Bavarian had claimed was "not relevant"; and he came to San Francisco for Heard's trial just two weeks after delivering the keynote address on facial identification at a biometrics conference in Australia. On the stand, Vorder Bruegge argued that the technique used by Bavarian — measuring the distances between facial features, creating ratios, and then comparing them — was "not reliable," because it depended too much on such variables as a subject's pose and the angle of the camera. A more fundamental problem in Heard's case, he said, was that the image gleaned from the low-resolution surveillance video simply wasn't fit for scientific analysis ..."
Read the whole story by clicking here. Enjoy. We're building an interest list for future classes at LA CLEAR / LA HIDTA Training. We've received a number of enquiries about an Intermediate class (16 hours) and an Advanced class (40 hours). In order to get it on the schedule, we need to show an actual count of potential students. With that in mind, if you'd be interested in either of these classes, please send an e-mail indicating which class and how many students. Once we get enough e-mails in, we'll get the classes on the schedule and notify everyone.